What Does Your Speed Test Tell You? In short, you need to regularly test your Internet speed, and understanding your speed test data definitely helps ensure you’re getting what you pay for. Remember, our speed test provides accurate results to truly gauge the bandwidth performance at your residence. You are able to get the best results on a desktop, tablet, smartphone, or your other mobile devices without downloading a speed test app. Let’s take a closer look at the typical data returned by a speed test, and most importantly, what does that data mean. The service level of your ISP account is normally based on the promised download speed when you first signed up, usually expressed in megabits per second (Mbps). A speed test verifies your download speed as well as other related data, including upload speed and network latency. If you enjoy streaming video or other rich media content, the download speed is the most important data item in your speed test results. While a wired connection using an ethernet cable directly to your router or modem provides the best performance, this isn’t realistic for most households. 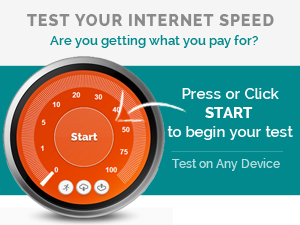 Also note that the fine print of any agreement between you and your ISP usually includes the phrase “up to” before the bandwidth service level, as in “up to 20 Mbps.” Even with that caveat, performing regular speed tests — and documenting your test results — helps you earn any refunds from your ISP if your Internet speed tests regularly below the service level promised to you. What follows is a listing of normal high-speed Internet streaming activities and the minimum broadband speed needed to perform them without issues like stuttering video or extra buffering. 1 Mbps: Streaming compressed (MP3, AAC, etc.) music. Streaming SD quality video on your laptop or desktop computer. Normal web surfing. Compressed music streaming. 2 Mbps: Streaming lossless music. Streaming SD quality video on your TV. 5 Mbps: Streaming HD (720p) video. 10 Mbps: Streaming Full HD (1080p) video with high definition audio. 25 Mbps: Streaming 4K or Ultra HD video. Understand that these bandwidth ratings assume only one computer is using the Internet connection at a time. If the wireless router at your home regularly has multiple users connected to it, the overall streaming performance and transfer rate for all devices suffers accordingly. At this point, investing in a high-end dual band router with beamforming capabilities helps to improve streaming performance. The bottom line is that performing regular Internet speed tests gives you the basic amount of data to begin to diagnose any media streaming problems on your home network. We help you figure out the issue without relying on a Google search. How do I Speed Up My Internet Connection? The most straightforward way to get a faster wifi connection is to choose a different ISP that provides faster service. Simply enter your ZIP code on our homepage to get a list of the different Internet providers in your area. Calling us is another option; we’ll help guide you through the steps. Maybe your modem and/or router are obsolete? This sometimes hampers your Internet speed. Check with your ISP to ensure your equipment is up to date. In most cases, they upgrade your setup for free, although a monthly charge may apply. Consider purchasing your own modem and router to keep your monthly cost to a minimum. Your ISP maintains a list of third-party equipment compatible with their service. Talk with them to find out what direction is best for you and your family. Optimizing your Internet connection is essential to get the most out of your monthly ISP payment. Let’s take a closer look at a few steps to help you get the bandwidth you deserve. If your speed test reveals poor performance, multiple issues might be the cause. 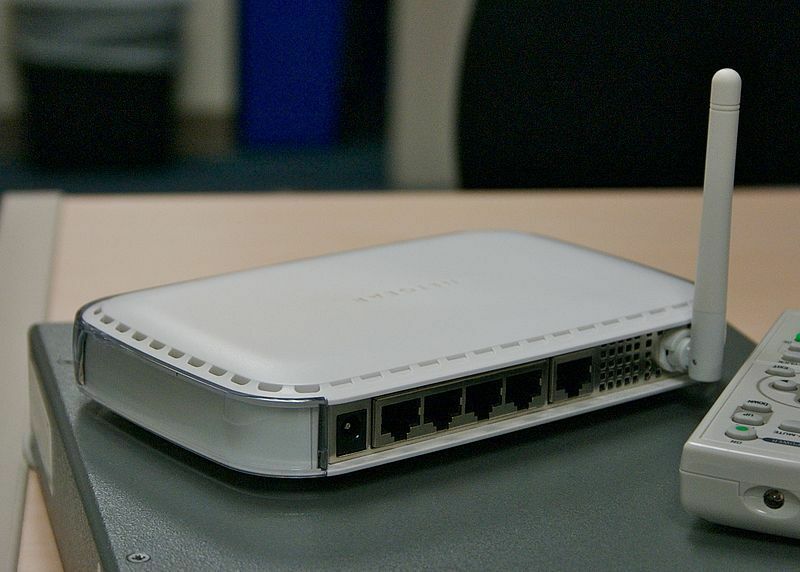 A poor router, router placement, or other problems might be contributing to the problems with your wireless connection. Make sure to limit the number of users accessing your wireless router before streaming a movie. Even when subscribing to a fast broadband Internet service, multiple users sharing that service often hampers performance for everyone. Dual band wireless routers provide you with essentially two different networks: one at 2.4 GHz (the same speed as most single band routers), and a faster 5 GHz network that’s optimized for streaming rich media content. A dual band router with a superior range definitely improves the streaming experience of any device on your network. Remember, not everyone is able to afford a wired ethernet connection for their laptops and desktop computers. Additionally, higher-end routers sometimes use a technology known as beamforming that optimizes the connection between the router and device. In short, if you plan on doing a lot of movie streaming and online videogaming at your house, an investment in a high end dual band router is a smart choice. It gets the most out of the wifi networks at your residence. Understanding the more esoteric functionality of a premium router lets you manage beamforming, to optimize the wireless signal for specific devices on your network. This is a smart trick to play if the family is watching an HD movie on Netflix with too much buffering ruining the show. Routers are affected by location. Consider placing your wireless router close to your prime television viewing area to improve the overall streaming experience. This helps you get the most out of your bandwidth even without spending extra on a high-end router. Mesh networks are another great option for large houses where it is difficult to transmit a router signal throughout. Here’s some more detail. When your household takes full advantage of its Internet service with simultaneous multiple users and hearty bandwidth consumption, you may notice some devices aren’t able to maintain a strong connection to your router. Maybe your residence is too large with multiple walls adversely impacting the wireless signal strength? And if you live in an Internet of Things-powered digital smart home, it’s imperative those devices stay connected to your home Internet service. Mesh network routers (or Surround WiFi) is a newer technology enhancing your home’s wireless network by using smaller routers to broadcast the network signal throughout your residence. If this sounds like something your home might need, keep reading! A mesh network router usually comes in a dual band format, which allows you to segregate more bandwidth-intensive traffic onto the faster of the two network bands. The system ups the ante by working in concert with a series of routers (up to 10 per network) serving as access points for the network. Typically sold in packs of three, the mesh network allows you to essentially spread the wireless network signal across your entire residence. This should serve nicely in a situation where your family’s home entertainment center is located in the opposite part of your house from your Internet modem. Simply place one mesh network router with the modem, and place another one in the room where you do a lot of video streaming. Be sure to run a quick speed test to ensure your bandwidth is sufficient for HD or 4K streaming. Luma and eero are two companies earning praise for their mesh network products. Both are available at a price of around $199 per unit, with a pack of three usually available for $499. Note that buying only one won’t give you the full advantage of multiple network access points. Both devices feature an attractive design suitable for conspicuous placement throughout your home. Enterprise-level security and simple network management using a mobile app are promised by both manufacturers. 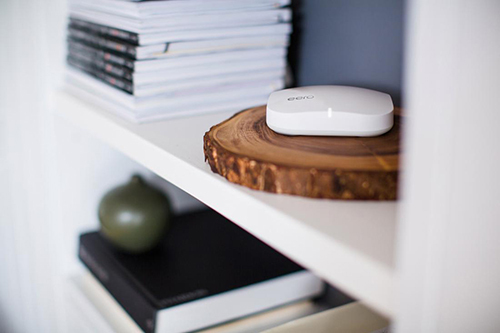 If you are an early adopter who depends on your Internet service for most aspects of your digital life, mesh-network routers offer the chance to truly optimize your home network usage. Depending on the layout of your home and the location of your wireless router, you may encounter difficulty keeping a strong Internet signal throughout the residence. This problem becomes obvious when you are trying to stream video or other rich media content a significant distance from your router. Expect copious buffering and poor resolution in this scenario. During a TODAY show story on improving home network performance, reporter Jeff Rossen mentioned using a range extender to allow him to watch Netflix in the bedroom which is on a different floor than his router. Let’s analyze whether range extenders make sense in your home. Range extenders offer a relatively inexpensive way to spread your wireless signal throughout your home. Expect to pay anywhere from $75 to $150 for a decent model. They typically plug directly into a wall socket, so you are able to place the unit closer to where you do your most bandwidth-intensive Internet activity. Many models support dual band routers, so you’ll be able extend the signal of both networks at your home if your extender allows it. If both your router and the range extender support WPS (WiFi Protected Setup) technology — most do — a simple button push on both devices transfers the network password information to the extender. Look for your network name on your streaming device, usually appended with an “EXT,” log on with your password, and commence viewing. Additionally, be sure to perform a quick speed test to verify the Internet speed through the extender is good enough for high quality video. In most cases, the improved wireless signal strength makes a noticeable difference in Internet performance. If you use the Internet of Things devices at your residence and encounter difficulty controlling those residing the farthest from your router, purchasing a range extender or two needs to be considered. 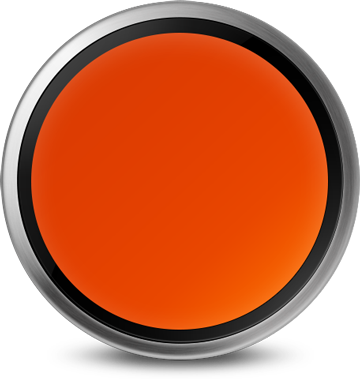 They can definitely help optimize the performance of any digital smart home. Most of the major companies producing routers, like Linksys and Netgear, also manufacture range extenders. Research the various models online or at a brick and mortar store to determine which model offers the best performance for the price. Make sure the unit supports WPS — especially if your router does as well — as it makes the setup an easier process. If you live in a large house and don’t want to wait for the mesh network market to mature, a range extender may be your best option to improve your home network performance.